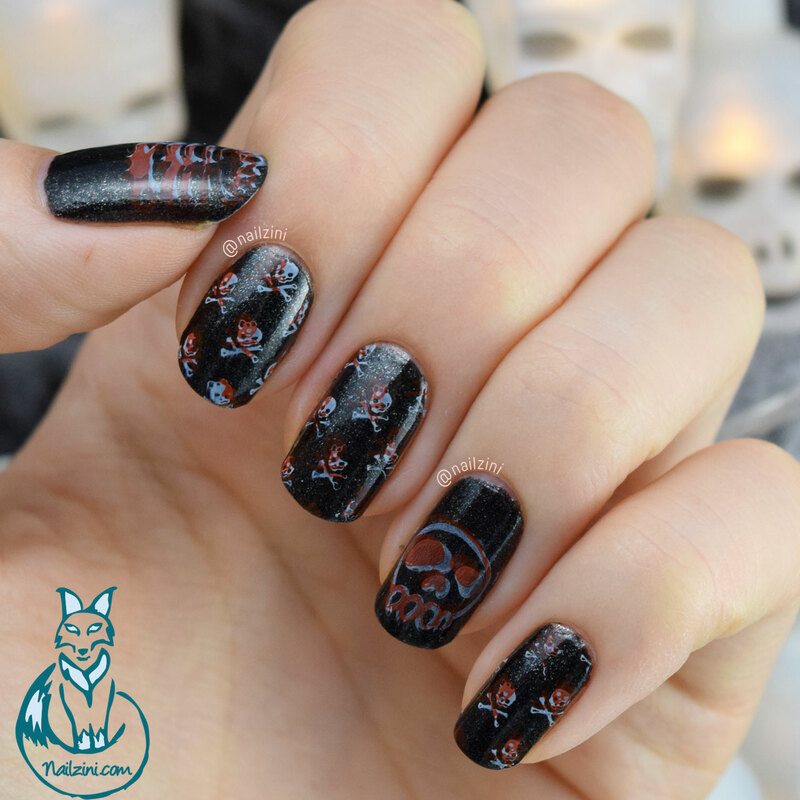 While I was walking around in a store the other day I found these amazing little skull lights and I thought they would be a perfect addition to this mani. These are sorta scary but also adorable and so tiny! 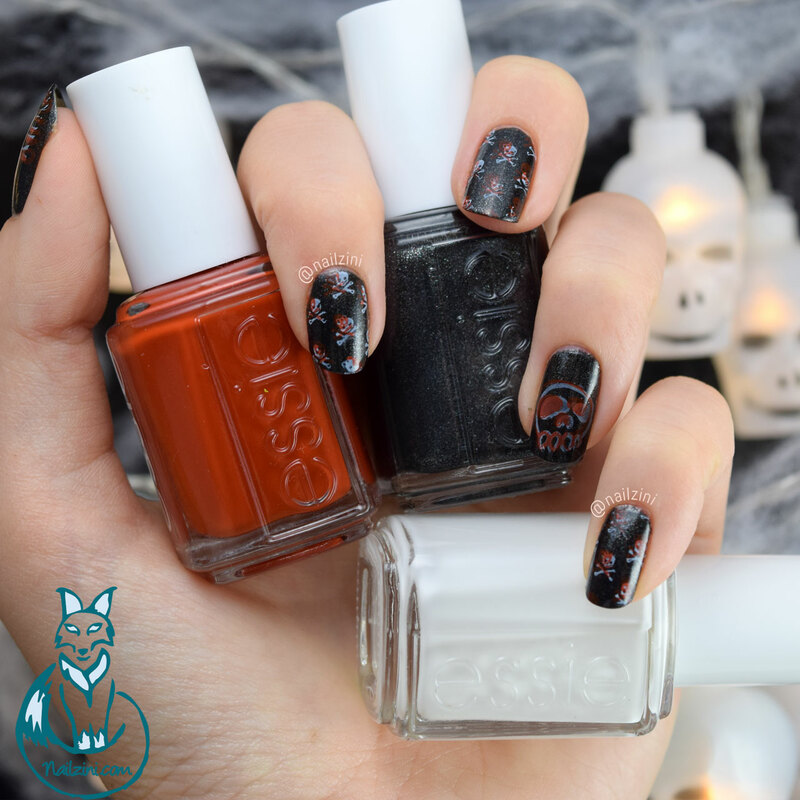 I double stamped some skulls from the Konad square image plate 04 with "Blanc" and "Playing Koi", which has to be the perfect Halloween orange nail polish, by Essie. 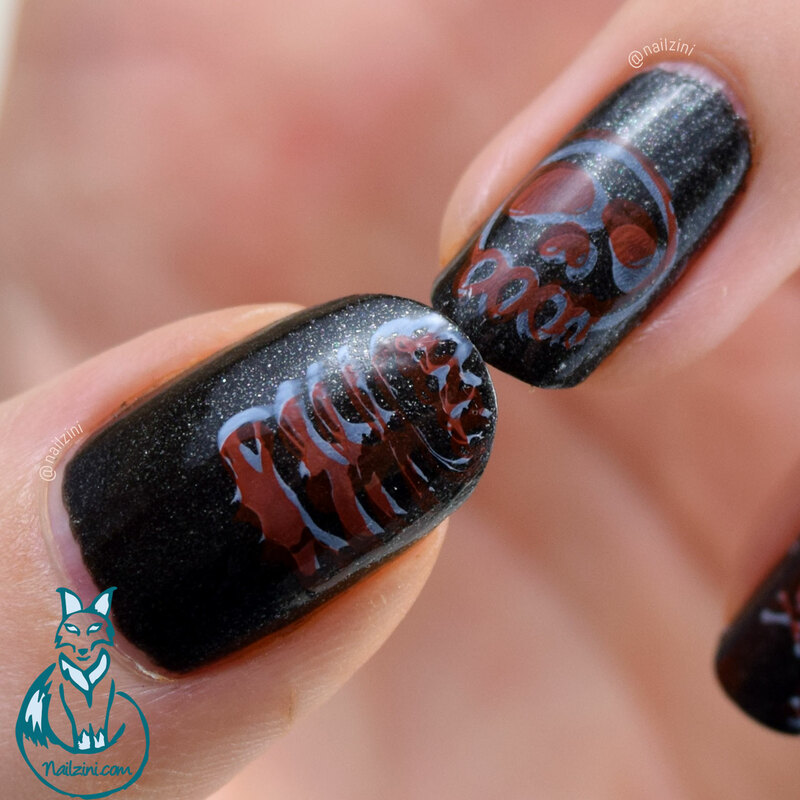 The base color is "Tribal Text-styles" by Essie. This one has such an amazing sparkle in the sun! 😍 You can see what I mean in the tutorial below. These two are definitely my favorite ones. With the little skulls "Playing Koi" kinda fades away in the background, but with the skeleton both colors look amazing and go so well together.